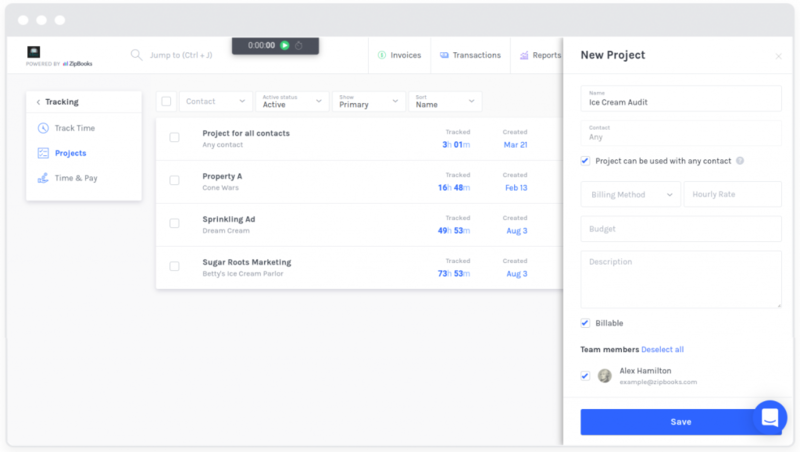 ZipBooks makes it easy to set up projects, and include all income, expenses, and time that may apply to each project, so that you can make sure your invoices are accurate and complete. Click on the green ‘+’ button toward the top right corner of your screen. A New Project window will open on the right. All done! The project you just created will appear in your project list. Note: Projects are available in the Smarter and Sophisticated plans.